Welcome to the Rick J. Henthorn, PLLC Website. Please select from the navigation buttons above to find out more about our firm, our specialties, and contact information. We hope that you will find your visit to our Website informative as well as interesting. We are pleased to announce that Rick has won the OBA Family Law "Outstanding Family Law Attorney for 2006". This is Rick's second time to win this award (the first was 2001). Rick J. Henthorn, PLLC specializes in complex family law and matrimonial matters. We offer alternatives to traditional divorce litigation that will save you time and money. Our primary goal is to provide each client with the best legal representation possible. We also offer additional services in the areas of father's rights (paternity) guardianships, juvenile law, real estate law, personal injury, wills & probate, and other general practice areas in Oklahoma. Do you have questions about your situation? Simply fill out our Intake Form or call our office at (405)354-6800. 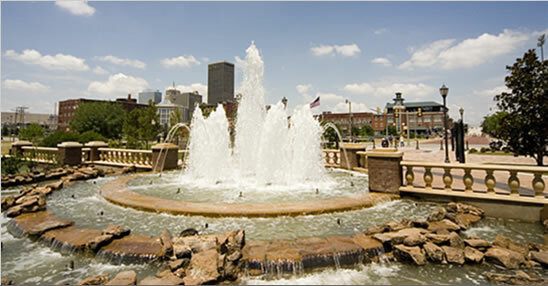 Rick J. Henthorn practices exclusively in the State of Oklahoma. Nothing contained anywhere in this Website should be considered as an attempt to give a legal opinion on any matter. The information provided on these pages is not intended in any way whatsoever as legal advice nor is this information intended to create an attorney-client relationship. This is intended as general legal information only. Some legal information provided in links supplied in our pages may not be the latest updates. The Law changes frequently and you should always contact an attorney before taking any legal action. The areas of practice covered by our firm are very complicated. You should always consult an attorney before taking any type of legal action. You can contact Rick J. Henthorn for a consultation concerning the law in Oklahoma. For information on the law of other states, you will need to contact an attorney in your local area.